A new Korean and barbecue spot has debuted in the neighborhood. Located at 1780 Story Rd. in East San Jose, the new arrival is called Nabi Q. This newcomer--located in the former Precision Cutz space--specializes in Korean barbecue, fried rice and more. On the menu, expect to see offerings such as deep-fried basil chicken served with rice and vegetables, spicy pork in a sweet gochujang ginger sauce and grilled salmon steak. There are customizable vegan options, too, like fried rice with veggies (without fried egg) and tofu with rice and vegetables. With a 4.5-star rating out of 21 reviews on Yelp so far, the fresh arrival has already made a good impression. Michelle T., who was among the first Yelpers to review the new spot on February 26th, said: "The person who helped me was a very sweet lady. She gave me a sample of the barbecued chicken and it was nommy! Ultimately, I ordered the combo of spicy chicken and spicy pork (mmm spicy). It came with rice, steamed veggies, kimchi and my favorite japchae!" 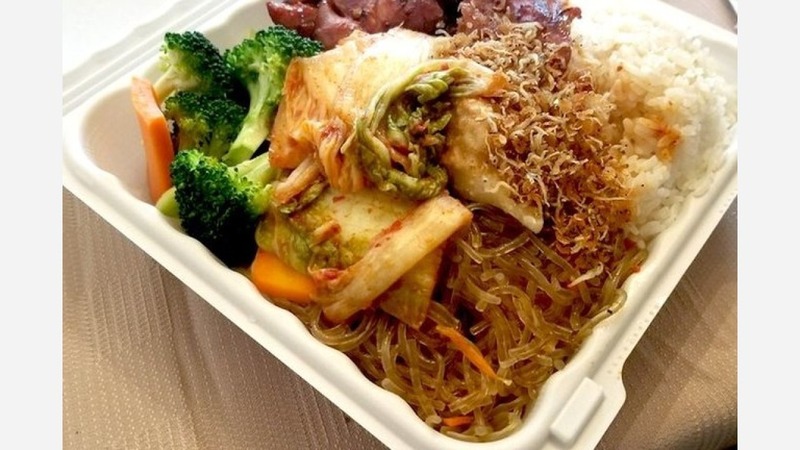 Yelper John C. added: "Nice clean Korean spot with pretty good portions and a ton of rice. Go here if it's carb day! The interior is bright and clean with good service." Interested? Stop by to welcome the new business to the neighborhood. Nabi Q is open Monday-Saturday from 10:30am-10pm, and Sunday from 10:30am-9pm.